I love rice pudding. I usually make the regular rice pudding with raisins and cinnamon because it is quick and easy. I don't make this recipe as often but it is extra delicious. This is my mother-in-laws recipe. I use leftover rice for my pudding so the amounts varies. This time I used 3 to 4 cups cooked rice. I added approx. 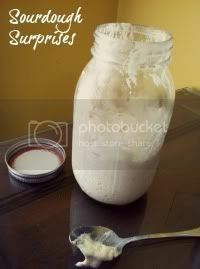 2 cups of milk and 1/4 to 1/2 cup sugar. Cooked until all milk is absorbed. Cool rice. ﻿Beat until stiff peaks 500 ml whipped cream with 1/4 cup of sugar and 1/2 to 1 tsp vanilla. ﻿Drain can of oranges and add to cooled rice. ﻿Slice banana and add to rice. (I usually cut the banana in half lengthwise and then slice it so the pieces aren't as large.